For a brief, unlikely moment in the early 2000s Canada occupied the centre of the pop universe. The interlude didn’t last, with prominent participants either burning out (Broken Social Scene) or metastasising into bloated self-parody (Arcade Fire). 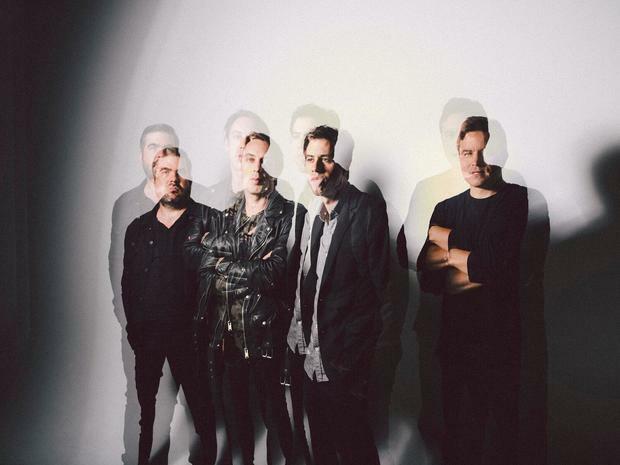 Montreal’s Wolf Parade are a rare exception in that they remain fighting fit, eyes fixed on the horizon. Perhaps, having had only moderate success in the first place, there was little danger of fame going to their heads. After two variously reflective and feral records, they went on hiatus in 2010 but have now returned, with muscularly soulful new album, Cry Cry Cry. A pleasing yin-yang dynamic was in evidence at the Button Factory, which they did well to sell out on an overcast weeknight. On one side of stage, anguished everyman Spencer Krug sang and manned a keyboard with pronounced jitteriness. His counterpoint, visually and musically, was guitarist Dan Boeckner – who sported rock star tattoos and stood with his legs splayed and chin tilted, ready for the spotlight. Tracks from the new record blazed by at a cathartic clip, driven by Krug’s furtive snarl while catalogue cuts Kissing The Beehive and Shine a Light gave Boeckner an opportunity to strut, shred and showcase an expressive falsetto. The odd couple chemistry didn’t always work – Krug was occasionally reduced to nebbish noodling as Boeckner took over. But when they went toe-to-toe on the epic What Did My Lover Say? (It Always Has To Go This Way) the bonfire of angst blazed with uncommon ferocity.